Oxford Lab Products Universal Pipette Tips are produced in a fully automatic, human touch-free production facility following strict manufacturing regulations. These universal pipette tips are produced from high-quality diamond finish molds using FDA approved specified medical grade virgin polypropylene which has high transparency. Oxford Lab Products Universal Pipette Tips are certified free from DNase, RNase, Human DNA, Pyrogens and PCR inhibitors. 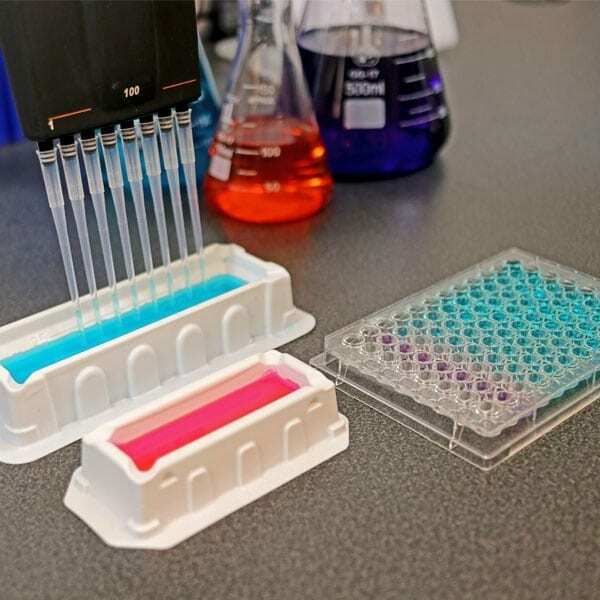 Therefore, they are ideally suited to highly sensitive PCR work. They are also free from lubricants and heavy metals. 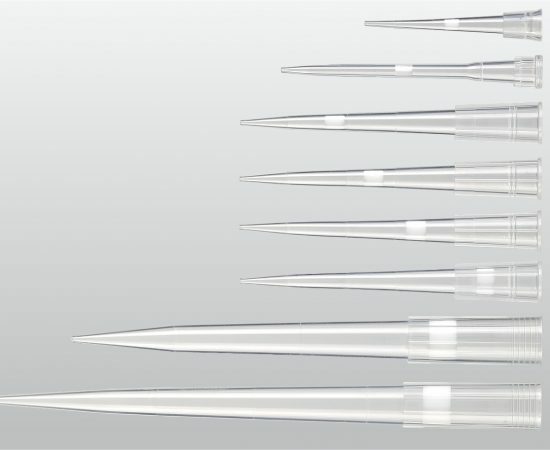 These Universal Pipette Tips have an innovative tip design for adaptability and compatibility with a wide range of pipettes from different manufacturers. They are also designed to have a very low force requirement for tip loading and tip ejection with pipettes. These Universal Pipette Tips have a profile and dimensions that have been precisely engineered to ensure that the dispensed liquid volume is predictable, precise and repeatable for each and every tip. There are graduation marks on all tips that act as visual markers to minimize any risk of errors during sample aspiration. The unique label coding system on the packaging allows for easy identification of tip size and type. Looking for pipettes? Check out our BenchMate Single Channel and Multichannel Pipette. Free from DNase, RNase, Human DNA, Pyrogens and PCR inhibitors. Ideally suited to highly sensitive PCR work. Free of Lubricants and heavy metals. The innovative design of tips allows for adaptability and compatibility with a wide range of pipettes. A minimum force requirement for loading and ejection of tips. Profile and dimensions of the tips have been precisely engineered to ensure that the dispensed liquid is predictable and precise for each and every tip. There are graduation marks on all tips that act as visual markers to minimize any risk of errors during sample aspiration. Unique label coding on packaging for easy identification.